Many parents worry whether their children will be successful. One reason this is such a common concern is because we each have our own unique definition of success. Some adults recognize it as a prestigious job, family, status or possessions such as homes, cars and jewelry. Others use less tangible barometers such as coping with disappointment or leaving a legacy. Myth #1 — If my child doesn’t do well in school s/he will never have a good job. Many parents believe that academic performance dictates how successful their child will be as a grown up. While education is important, it is not the only influencer in an adult’s “life work”. Often people move through several careers before they find one that suits them. It is not unusual for adults to have a “mid-life crisis” and realize the work they’ve been doing is antithetical to their soul’s mission. Depending on where you live, your child may not have access to the best formal education. Some children are self-taught, spending hours reading books from a library or listening to elders share stories. Life is a series of teachable moments and children are constantly learning. More and more research is indicating that emotional intelligence plays a greater role in personal and professional achievement than does scoring high on standardized tests. While these concerns are legitimate, they fail to acknowledge that as children grow they move through natural stages of development. Children under 5 do not “see” a mess the same way adults do. When you ask your pre-schooler to put his toys away, he thinks he has done what you’ve asked by putting one car back on the shelf. Your teenage daughter may not have yet developed an appreciation for the clothing you worked so hard to purchase for her, so leaving them in a pile on the floor does not feel like a disrespectful act. When children discover the inner satisfaction of being responsible and contributing to a household’s smooth operating, they feel wonderful! Many children can learn to delight in doing chores and feel the pleasure of helping out. It is rare that a child or adult who is chastised, guilted or threatened into helping will feel authentically motivated to do it on their own. Rather than demanding they learn to be responsible now, model what enjoyable responsibility looks like and let them join in when they feel inspired. Express appreciation for their efforts. This is where the seed of authentic cooperation and responsibility is planted. Myth #3 — A child who only has one friend and does not show interest in group activities will be sad and lonely. Your child may choose to have one or two best friend relationships rather than have lots of friends. Children with siblings may want to spend time with each other. Some young children prefer imaginary friends to “real” friends. Read also: 5 Types of Friends Worth Keeping. From the age of four, I had one “best friend” who thirty years later is still one of my most trusted confidants and closest allies. Having many friends is not indicative of social prowess or “likability.” If your child has one or two friends of high integrity rather than lots of friends who are immature, chances are greater that the small circle will be a more positive influence on your child. Some children are clearly “old souls” and from the time they are young seem to identify with self-aware people and prefer not to engage in childish activities or behaviors. Their happiness and success may look different from others; in fact they are often more in alignment with themselves and the world than their seemingly outgoing peers. How do you define success for yourself? This will impact the way you judge your child's success. Personally, I interpret success as authentic happiness. Authentic happiness happens in daily moments and is not reserved for expensive, exotic trips or a check list of approved social accomplishments. When parents buy into these three myths they hinder their own ability to be happy in the moment and give the message that there is something wrong with their child. This creates anxiety and stress for both parent and child. 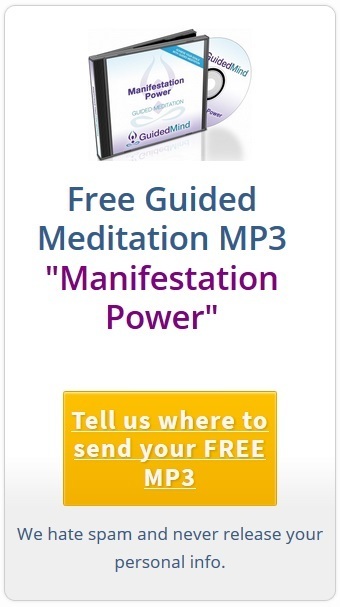 Message from Guided Mind: Connect with your children with our "Connect With Your Child" guided meditation mp3s found on our main product page. Let your kids know that success is often partnered with taking risks, learning from mistakes and following your passion. A day that is filled with connection, fun, relaxation, or stillness can be considered as successful as a day filled with work, pressure, chores and responsibility. Melissa Swartz is Coaching Parents of Highly Sensitive Children. You can order Sandi and Melissa's book, Authentic Parenting Power - by clicking here.